Travelling via air has always been the most preferred and fastest option available to us at any given time but have we ever given a thought whether it is the safest in every context technical and cyber? Never mind the technical mishaps that happen when least expected the accidents that occur are rare but shocking and terrible but are we aware of the dangers related to flying in the light of cyber security? As we probably are aware, cybercriminals are driven for the most part by their thirst for money and power—and disturbing the air traffic and airport regulation helps they satisfy it. While the dominant part of these cyber security occurrences result in data breaks, but: Attacks on this imperative framework could prompt significantly more inauspicious outcomes. 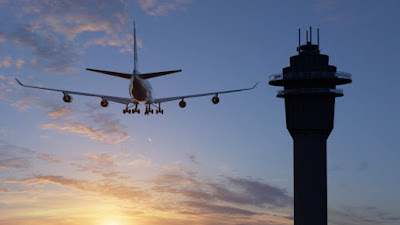 Associations like the ATO and EUROCONTROL deal with the air traffic across continents, connecting with business and military bodies to control the coordination and planning of air traffic in their assigned region. These associations work firmly together, as there are numerous intercontinental flights that move across from one area then onto the next they respond quite rapidly to such episodes. These Aviation control organisations require immaculate correspondence to work legitimately, as they are essential to keeping up the normal stream of air traffic. Along these lines, their related frameworks are intensely computerized which makes them the primary targets for the said cyber-attacks. However apart from Air Traffic there are a lot more factors as well that have a specific negative effect on the transportation service. Some of the major ones being terrorist attacks, ransomeware attacks, targeted cyber-attacks in addition to the budget concerns. Terrorists have hijacked Aircrafts before, the most known incident being 9/11, where the terrorists infiltrated onto four different air crafts, disabled the pilots. Anyway these physical, in-person hijacks are the reason behind the broad safety measures that we all experience at each major air terminal. Despite the fact that these hijackers don't need to be physically present to cause such immense harm. As exhibited before, air crafts can be hacked remotely and malware can contaminate computer frameworks in the air crafts as well. What's more, similar to some other industry, we likewise find numerous ransomware victims in the avionics and air traffic sector. The most popular one being air and express freight carrier FedEx that surprisingly has been a ransomeware victim twice: once through their TNT division hit by NotPetya, and once in their own conveyance unit by WannaCry. When turning towards targeted cyberattacks the most fitting precedent is that of the IT system of Boryspil International Airport, situated in the Ukraine, which purportedly incorporated the airport's air traffic regulation system. Because of rough relations among Ukraine and Russia, attribution immediately swerved to BlackEnergy, a Russian APT group considered responsible of numerous cyberattacks on the country. In 2017, the Air Traffic Control Aviation (ATCA) published a white paper issuing this warning as in a 2016 report by the Ponemon Institute discovered that the associations did not budget for the technical, administrative, testing, and review activities that are important to appropriately operate a secure framework. Bearing these factors in mind while the physical security on airports have been increased fundamentally, it appears that the cyber security of this essential framework still needs a considerable amount of work and attention, particularly remembering the sheer number of cyber-attacks on the industry that have occurred over the most recent couple of years. The excrement will undoubtedly hit the propeller if the air traffic and cargo enterprises yet again fail to incorporate cybersecurity in their financial plan and structure propositions for the coming year.